How expensive is a discount credit? A supplier makes you the offer to either fully pay an invoice within 30 days or pay within 10 days with 2% trade discount. For interest paid on overdraft, your firm’s bank demands 10% interest p.a. and for credit on the current account, you get 0% p.a. 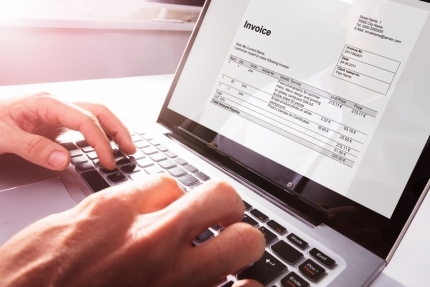 Is it beneficial to pay the invoice later or to pay the discounted amount within 10 days? The difference between both the terms of payment must be projected over one full year so as to be able to compare the two situations. Since there is a time period of 20 days between the two terms, the discount of 2% is to be extrapolated to 1 year. If it is assumed that a banking year has 360 banking days, the interest rate p.a. is thus 2%: 20 days x 360 days = 36 % p.a. If it is further considered that the interest must be calculated on the payment amount reduced by 2% after using the discount, the interest rate is even slightly higher. Result: In our example and in most of the cases, it is cheaper to make the payments by opting for discounts within the short payment deadline. Using cash discounts helps you save money! Click on the link here to get to know why you sometimes should not (immediately) pay invoices. even when you are offered trade discounts.